Anant Raj's 3QFY11 results were better than our expectations. EBITDA was Rs.722m while EBITDA margin jumped to 62%. net profit declined 25% YoY. The sharp increase in EBITDA margin is primarily attributable to higher realizations in its Manesar project. Revenue grew 50.5% YoY to Rs.1.2b. While Anant Raj has not launched any new project in 3QFY11, phase-II of its Manesar project has witnessed strong response. 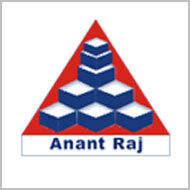 In 3QFY11, Anant Raj witnessed a sharp increase in debt (in line with the management guidance). Gross debt was Rs.9.3b as at Dec 2010, net debt at Rs.7.1b.